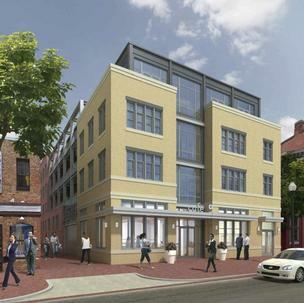 Saul Investment Group LLC has purchased the site of the planned Flats at Blagden Alley. Saul Investment Group LLC, the real estate firm launched by former Saul Centers President B. Francis Saul III, has acquired the site of a planned condo development in Shaw known as the Flats at Blagden Alley. An Update on the H Street Streetcar! Streetcar: Where Is the Darn Thing? We’re not trying to rush anyone, it’s just that we’ve been standing outside on H Street since 1997—the year we first heard whispers about streetcar. Our train still hasn’t come, and it’s starting to rain. #NewRestoAlert: Red Rocks on H Street! The popular Columbia Heights location will be opening a huge new location at 1348 H St. – per their social feeds, opening day is tomorrow! Why Do I Need a Realtor? 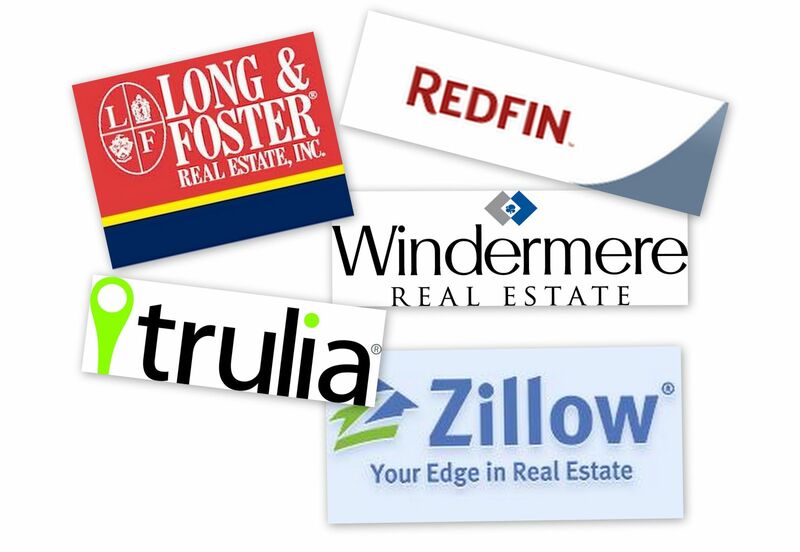 I Have Redfin/Zillow/Trulia! Once you find the perfect home, do you know what documents you’re required to submit in order to put in an offer? Are you familiar with the various contingency options, and do you understand the implications that adding or leaving out a particular contingency may have re: the likelihood of your offer being accepted? Do you know how to best craft your offer to protect yourself from accidentally buying a lemon or overpaying for a property? Once your offer is accepted, do you know what needs to be done before you can get to the settlement table? Who’s going to do your home inspection? Termite Inspection? Appraisal? Provide your Home Warranty? Do you even need to get all of these things done? And, in my humble opinion, the most important point of all: sure, you’re most likely smart enough to figure this stuff out yourself. But do you really have the time to figure it all out yourself? The bottom line is, a good realtor has more time, experience, and expertise than you do to get you through what is unquestionably a complex process and one of the most important purchases you’ll ever make. Being able to sift through listings and open houses with an iPhone app doesn’t change any of that. Trust me, the house hunt – while important – is just the tip of the iceberg. On Tuesday, the quintessentially mainstream American real estate brokerage–Re/Max–went public. The housing market is hot enough, its initial filing explained, that raising investor cash could launch it into markets around the country it hadn’t yet reached. Ok. You want to check out that hot new restaurant down the street, but there isn’t a reservation available at a decent hour for weeks. And if you attempt to walk-in at dinnertime, you can expect at least an hour wait. Neither option is particularly appealing, but how much time can you really spend trolling OpenTable for cancelled reservations? Rezhound.com to the rescue! The website allows you to set up alerts when a table comes available at your restaurant of choice (as long as it’s on OpenTable) at your time and date of choice. The site is still working out a couple of bugs (case in point – the “my reservation time is flexible” option is a bit unclear), but the idea is a solid one. Yes, You CAN Just Pay Someone to Do That. Pretty much every busy professional has, at some point, wished they could just hire someone to do [insert errand here]. Assemble that annoying IKEA Smorglebob desk, run to the grocery/hardware/anything store, pick up your prescription, drop off your dry cleaning, swing by the cobbler to get that broken heel re-attached, whatever. Now you can! TaskRabbit is an intriguing new service that allows you to request bids from pre-screened folks for just about any (legal) task. Describe your task, name your price or request bids, pick your “TaskRabbit” (aka choose from the list of willing helpers), and pay when the task is completed. Check out the video below or click here to explore their website. Have you tried TaskRabbit before? Share your experience in the comments! The folks at Curbed dug up the only five properties currently on the market that have the audacity to claim to be a “deal” in the current sellers’ market. What do you think? Deal or no deal? Our Observations: A $50K price reduction is nothing to sniff at. In fact, this apartment has gone down $30K since we last profiled it in our Real Estate Death Match a few weeks ago. It just barely lost that match, but perhaps the price reduction would give people pause for an additional look. This is still a pretty luxe spot (two stories! modern design!) in a nightlife hotspot, so it’s hardly the most inexpensive listing in the city. Is it even one of the more inexpensive listings in the neighborhood? Our Observations: Actually, at this price for these specs, it really might be the best deal in West End. A large one bedroom with a balcony at this price? Of course if the kitchen and master bathroom need updating, that will drive up the price considerably and it’s telling that the master bathroom is notably not showcased the listing photos. We noticed it had light pink tile on the walls which is never a good idea. Our Observations: Funny, we’ve looked at this one before as well. Although Zillow hasn’t updated this information yet, the price went down on this one over the weekend according to Redfin. The vast majority of those who voted in our poll said that this actually was a very good deal on a residence but a few readers were a little iffy regarding the co-op fee which appears to be $382 per month. Our Observations: Well, one could walk from this spot on the edge of Trinidad to H Street NE but it’s debatable whether being that close to an area noted for deer is a plus or a minus when heading out for the night. Still, there is a nice neighborhood feel to that particular block. Our Observations: The only option on this list that’s not an apartment isn’t in a neighborhood known for its amenities (Lincoln Heights), especially if Wal-Mart pulls out if the location nearby. It is close to several metro stations and has the best square foot/dollar ratio of the group.